Grass cutting is a popular task of every garden owner. Nowadays, this task became much more simple with the support from many modern equipments, such as the lawn mower. Indeed, a lawn mower not only helps you to improve the work efficiency, but it also helps to save much more time and effort. The most common type of lawn mower is the riding lawn mower together with push lawn mower, manual lawn mower and self propelled lawn mower, riding lawn mower was known as the highest capacity lawn mower, and that is the reason why it was used widely. However, it is the hardest lawn mower to use, and you may need to spend more time practicing until you can use it fluently. That is the reason why in this article, we would like to talk about some safety tips when using the best riding lawn mower 2017, with hope that it may help your mowing task become easier and safer. Know the type of your machine, total power and capacity. Read its manual to understand clearly about the way to start and operate it safely. Make sure that you have already completed the inspection of all the functions of your riding lawn mower. Learn how to control speed and practice how to start, stop and turn your riding lawn mower at least 2-3 times. Keep your hands and feet away from the moving parts, and do not forget to turn on the safety devices. Please remember to wear the proper boots, trousers and protective clothing as the instruction of the manufacturer to ensure the safety of yourself when operating the riding lawn mower. A good protective clothing can protect you effectively from cutting by the moving part of this machine. Besides that, the sound of a riding lawn mower when working can reach the high intensity, and cause your hearing damage, therefore, you should wear the hearing protection to protect yourself from this threat. Finally, please remember to protect yourself from the high temperature while working outdoors with coats, safety goggles, helmets, gloves and hats. Mowing area should be cleaned to eliminate all of the redundant elements such as: debris, rocks and gravels…. Because the mowing blades of the machine can crash into them and be broken, then the small pieces of it can hit the people around. Moreover, the uneven terrain can overturn your riding lawn mower and cause an accident. Therefore, please remember to read the guidelines of the manual, and then follow it strictly when mowing on the uphill terrain. Working with the riding lawn mower in the bad condition may not only reduce the longevity of it, but also cause the accident easily. That is the reason why you should avoid using your riding lawn mower in the bad situations, such as on the rainy days, since the water can flood into the spark plug and stall the engine or clog the cutting parts. Besides that, it is very hard to control a riding lawn mower on a wet ground, with only a small distraction, we can cause an accident easily. So, it’s better to avoid riding your lawn mower on a rainy day. One more thing I would like to remind you, please store your riding lawn mower in a dry place, and keep it away from the flammable material to prevent the explosion issue. When using a riding lawn mower, you need to know exactly where your kids are, and never allow them to play around the mowing area or approach the mower. It’s better to have other adult to keep an eye on them. 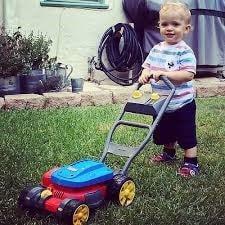 Please remember that never l﻿eave your kids alone with the lawn mower, especially when you did not remove the key. Your kids are curious, they may sit on the riding lawn mower, and try to ride it. It is very dangerous if they fall out of the machine, or lose control and hit something when trying to ride the lawn mower. You should remind your kids carefully, that the riding lawn mower is a dangerous machine, not a big toy, and it can cause a disaster. Finally, please remember to put the notice signs around the mowing area to alert people to stay away from there, thereby minimize the chance of accidents. You should have the basic knowledge about the ways to solve the dangerous situations, in case of emergency. It is mandatory, because in some cases, a quick and appropriate reaction will help to save your life. Here are two tips, which will help you to handle two common situations. When you ride your lawn mower downhill, if the speed of it suddenly increases, and you cannot slow it down. Please remember that never try to brake it immediately, since this action may make you lose control and cause the accident. Instead, you should try to keep control, ride it to a safety area, and decrease the speed gradually. If there is anything broken when you are riding your lawn mower, please try to shut down the machine as soon as possible. If you are not an expert, do not try to fix anything, since you can hurt yourself. Just call the manufacturer, and wait for the support team to fix it for you. You can read this article to repair lawn mower yourself at home. A good lawn mower maintenance schedule will not only make your riding lawn mower operate well over the years, but it also helps you to reduce the accident rate when mowing your lawn. Here are some tips to maintain your riding lawn mower. Prevent the machine from working continuously during several hours, because it will reduce the longevity of your riding lawn mower. Do not fill the gas when the engine is hot. In some urgent cases, if you need to refuel your riding lawn mower quickly, let stop the machine, and wait for it to cool down in several minutes. Clean the stain on the surface of the machine and the cutting parts; remove all of the grasses and leaves in the cutting deck after each time of use. 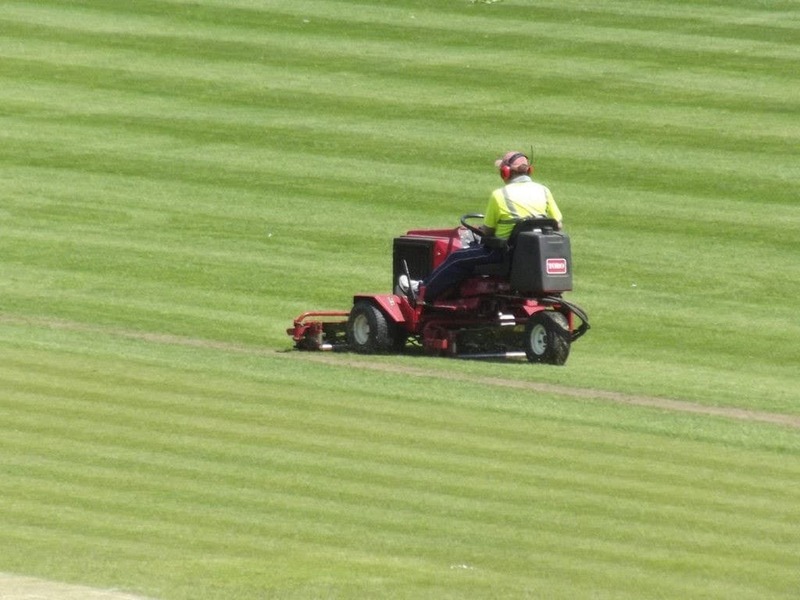 This task will hep to improve the longevity of the mowing edge as well as the cutting deck. Inspect the mower frequently base on the instructions of the manufacturer. 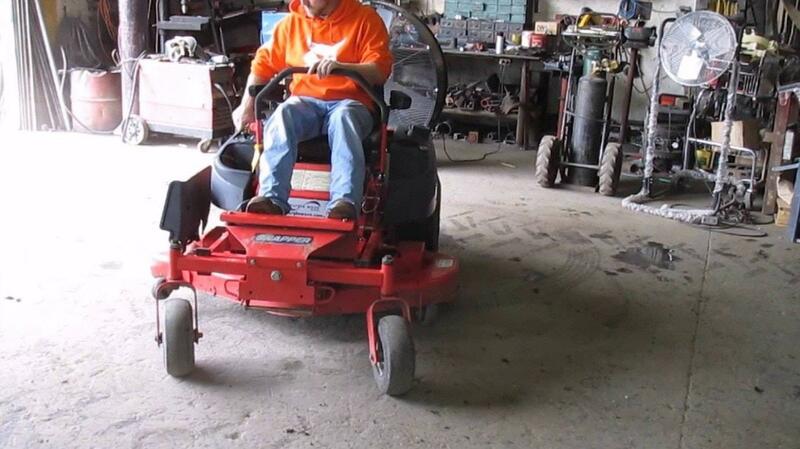 A riding lawn mower could be a hazardous or a safety device, it completely depends on your awareness. 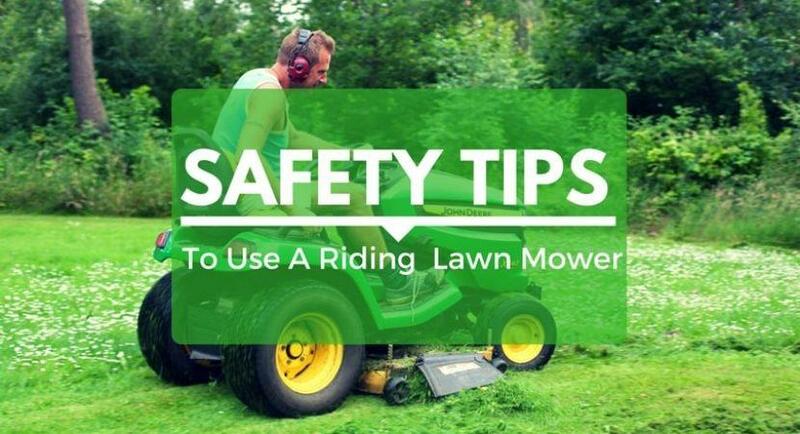 After reading this article, you can see that there are seven main points we should know and follow strictly, to stay safe when using a riding lawn mower. It is not easy to remember all of them, but you can print this article out, and use it as a safety checklist before using your lawn mower to mow your lawn. The health of you and your family members are very precious, so, please always work with a “safety first” mindset. Finally, please remember to protect yourself from the high temperature while working outdoors with coats, safety goggles, gloves and hats.